As William Shakespeare is regarded as one of the greatest writers in the English language, it come as no surprise that his works - plays, sonnets and narrative poems - are popular reading material across the globe. Much of his work is studied in schools as part of the curriculum, and as such there are hundreds of textbooks explaining the finer points and details of his works in simple English. Many Shakespearian plays have been made into famous films - even children's movies, like Disney's The Lion King, draw upon Shakespeare's work: The Lion King is based upon his play Hamlet - while Shakespearian sonnets appear in music and books across the world. There is a term, which may come across as being slightly mocking, which refers to the great popularity of Shakespeare and his works: bardolatry. The meaning of this term is defined as the worship or idolism - often thought to be excessive - of William Shakespeare. It was coined by George Bernard Shaw, who disliked Shakespeare - thinking his works were not relevant to this time-period as they did not engage with social issues - and refers to the fact that Shakespeare is often known as 'the Bard'. Shakespeare's plays can be divided into three main categories: the comedies, the histories, and the tragedies. His tragedies are widely thought to be some of the greatest writing ever published, and as such are hugely popular among scholars and lay-readers alike. Some of the more popular pieces of Shakespearian writing, which may be studied in school or university, include the likes of Romeo and Juliet, Hamlet, Macbeth and King Lear. King Lear is thought by many to be one of Shakespeare's greatest triumphs, a play layered with complexities of the human condition: it is a study in human suffering and the kinship of man. It follows the story of Lear, the King of England, as he descends slowly into madness and his three daughters. Lear splits the kingdom between two of his daughters on the basis of which daughter flattered him most, while the third daughter, good Cordelia, leaves to live with the King of France. The consequences of Lear's actions have an effect felt throughout the kingdom. Macbeth may be the shortest of Shakespeare's tragedies, but not only is it one of his most famous, but is often considered one of the darkest of the Shakespearian plays. It investigates the corrupting effects of ambition and power, following the disastrous career of the Scottish lord Macbeth, who uses murder to gain and retain the crown. Macbeth not only destroys his country by plunging it into civil war, but eventually loses hold of all that makes his life worth living, before eventually losing his life also. In comparison, Hamlet is the longest of any of Shakespeare's plays, and is not only hugely popular today, but was during the playwright's lifetime as well. It has remained at the top of the Royal Shakespeare Company's performance list since 1879. It is considered to be one of the most influential pieces of tragedy written in the English language, exploring themes such as revenge, moral corruption and treachery. Like most of Shakespeare's tragedies, there is madness in the characters portrayed within Hamlet: terrible grief battles with unbridled rage, some characters feigning madness while others are truly gripped by it. The plot of Hamlet is one of revenge and murder: it follows Prince Hamlet, who learns from the ghost of his dead father that it was his uncle who slayed the old king, in order to gain his crown and his wife (Hamlet's mother). 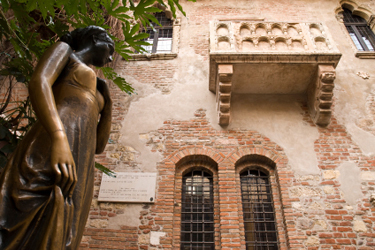 Romeo and Juliet was another of Shakespeare's plays which attained great popularity and praise during the playwright's lifetime. It portrays the often-told tale of star-crossed lovers from feuding families, who kill themselves for love, resulting in the reconciliation of their families. It is a tale which has been told throughout the ages: based originally on an Italian tale but modified skillfully by Shakespeare. Shakespeare's use of combining comedy with tragedy keeps tensions high throughout the play. It is a play which has been adapted innumerable times, for stage, opera, musical and film and one which is studied in literature courses across the globe. Shakespeare wrote most of his work between 1589 and 1613. As such, the language can be very different from what is spoken and written today. To help Shakespeare scholars to get the most out of reading his work, many editions will have readers' notes which explain, in simpler terms, what specific words mean in today's English. There are also hundreds of textbooks available, explaining and examining the various themes and underlying meanings to Shakespeare's works.